This is how to destroy a perfectly nice Jeep Figured I would create one of these since I will be finally making it "not stock"
After the first "off roading" trip with it, the rear springs decided to crack. So I replaced them with Quadratec "HD" springs. Found out quickly that the Quadratec HD springs are just normal springs. So It was lifted in the front but not the back. Scored some 3.5'' ProComp springs for $200, shipped, the set. Not pictured here is a lot of extra weight in the back of the Jeep to geat the rear end to sit level. 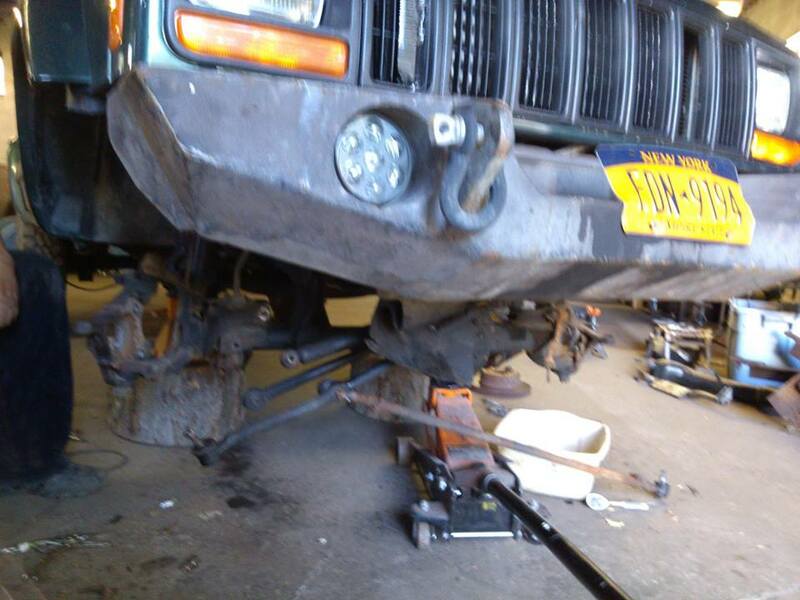 The factory U Joints were in need of replacement - so I threw some MADE IN USA NEAPCO u joints in the front. Tried my hand at storm chasing. A roof blew off of an abandon gas station and did a bit of superficial damage. Found out that, with the 3.5'' of lift, I was getting rear driveline vibes. Slowly, over the summer of 2012, the front started to have the issue too. Found out that the Low Pinion Dana 30 ate its pinion bearing. 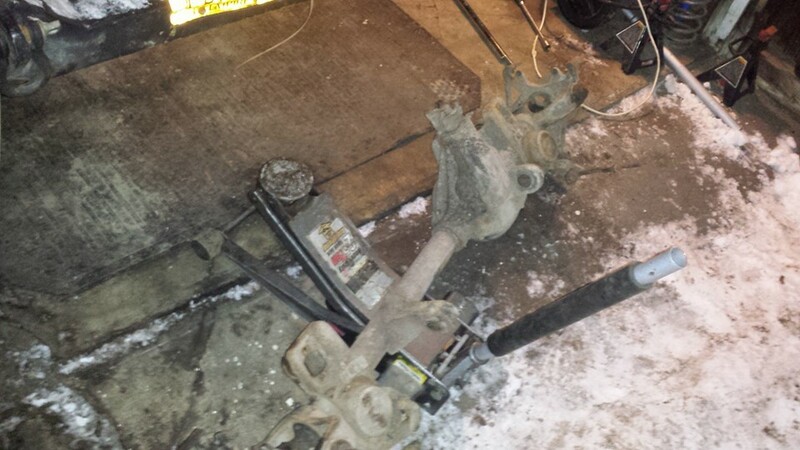 So, I had to buy a new front axle (way cheaper than getting the factory one rebuilt). 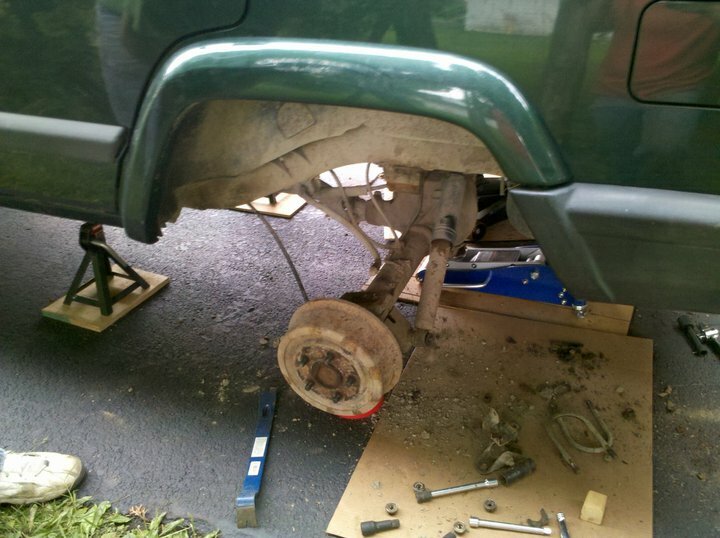 Replaced the front axle ... Swapped the low pinion 30 for a high pinion 30. Huge different in driveline angles too. 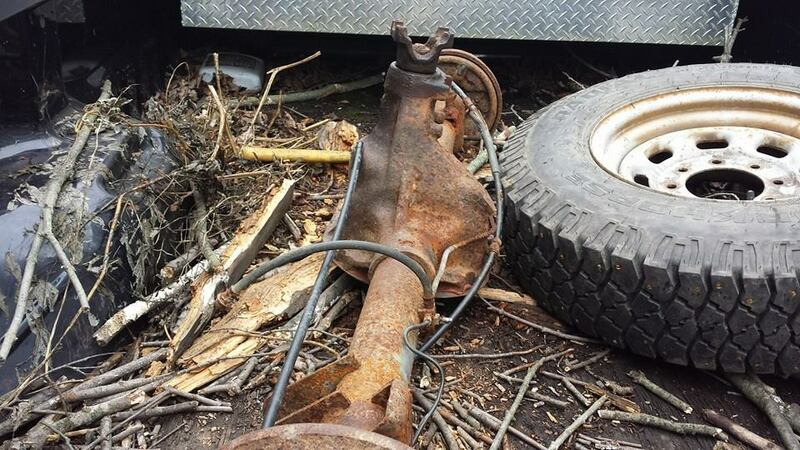 When the "new" axle was dropped out of the junkyard jeep, it took out the lower control arm mounts. Rafael created some new ones for me. 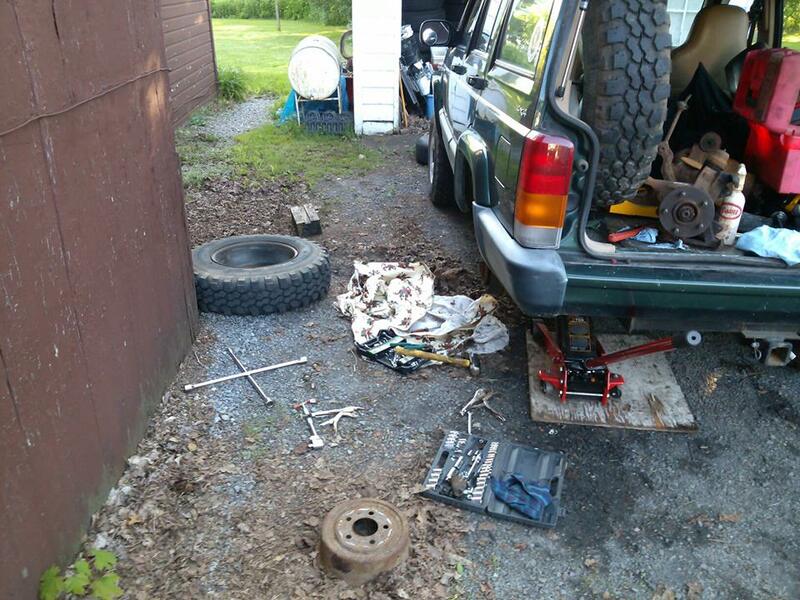 Then helped swap the front axle. 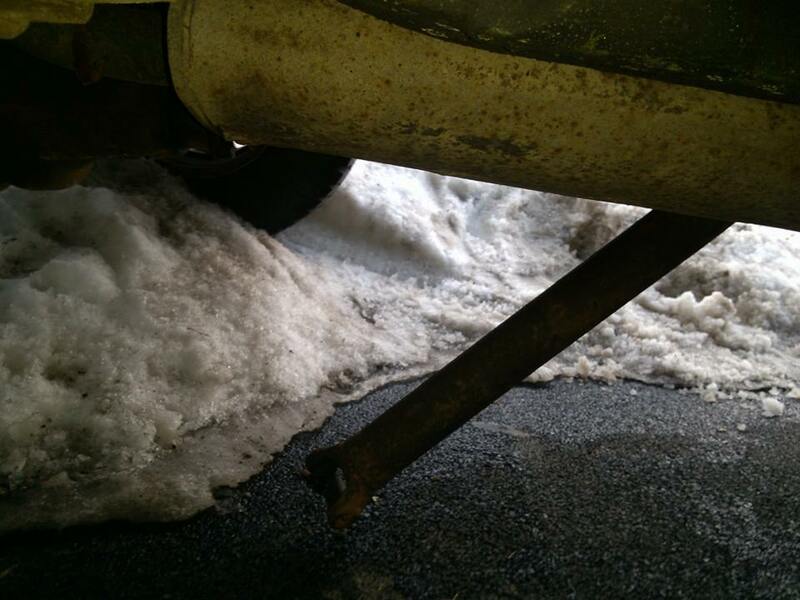 I had to laugh - this was a cnyjeep meeting and someone ran up and said "I think your driveshaft fell out" ... yup, it sure did. I felt it hit the floor. 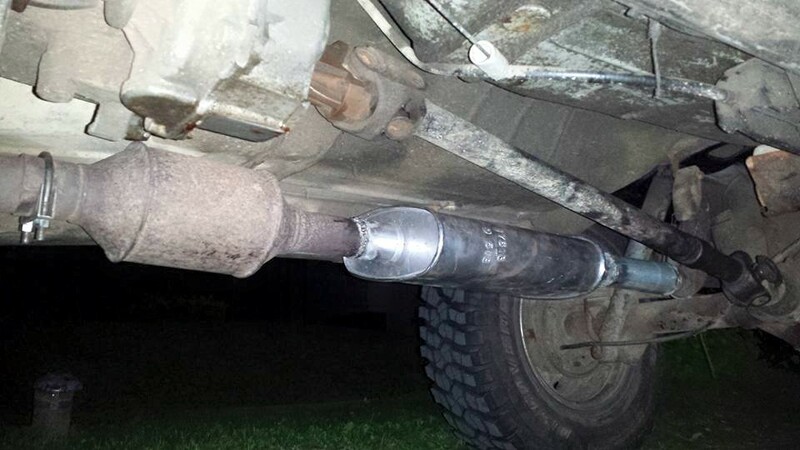 Never got around to putting it in. At the 2015 Chili Bowl I had a friend riding with me. 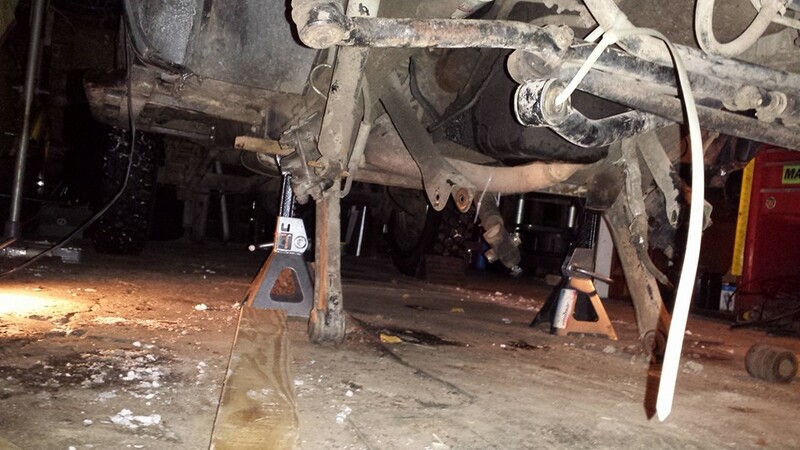 He thought the transmission and transfer case were hitting the floor when I was bouncing around. Sure enough - the transmission mount had failed. Turns out that was the problem. Put a new one of those in. After struggling with the bolts FOREVER. 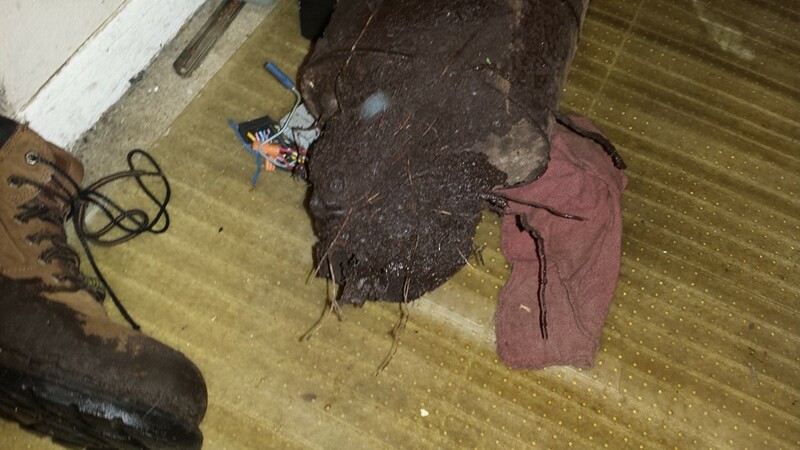 They were in there - steel bolts in aluminum transmission. Didn't want to pull the threads. Had some issues with the death wobble. Threw on a new IRO heavy duty Trac Bar. Does the job quite well. 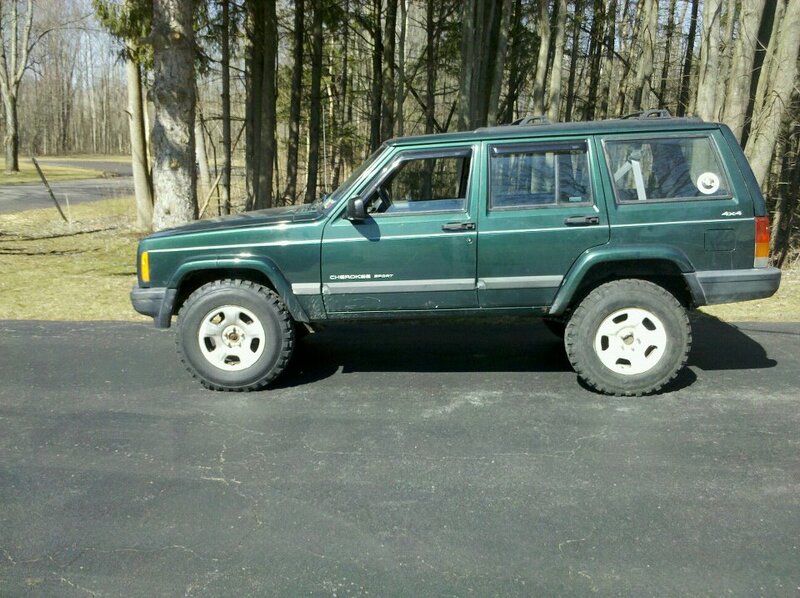 Also threw on the ZJ v8 tie rod (thanks Nick!). 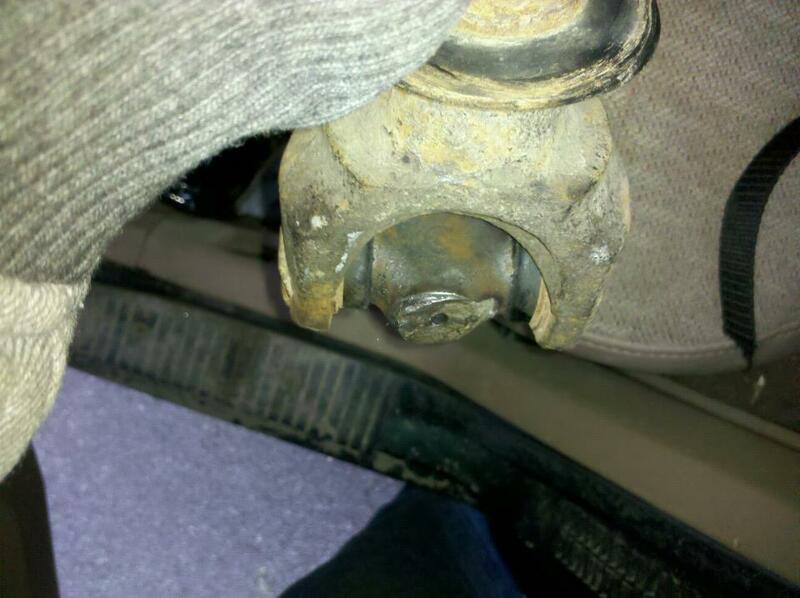 After both of those were installed, mainly the tie rod, it was the first off roading trip where the toe wasn't out of whack! 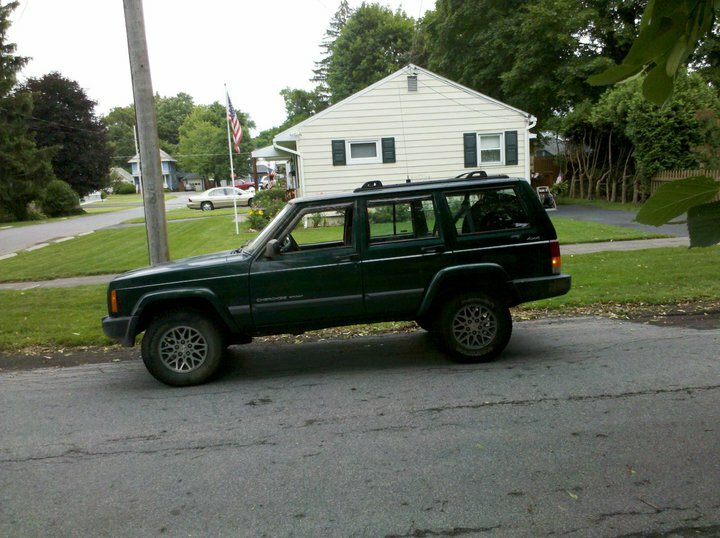 Jeep took a swim at Martinsburg so it has a new battery and alternator. 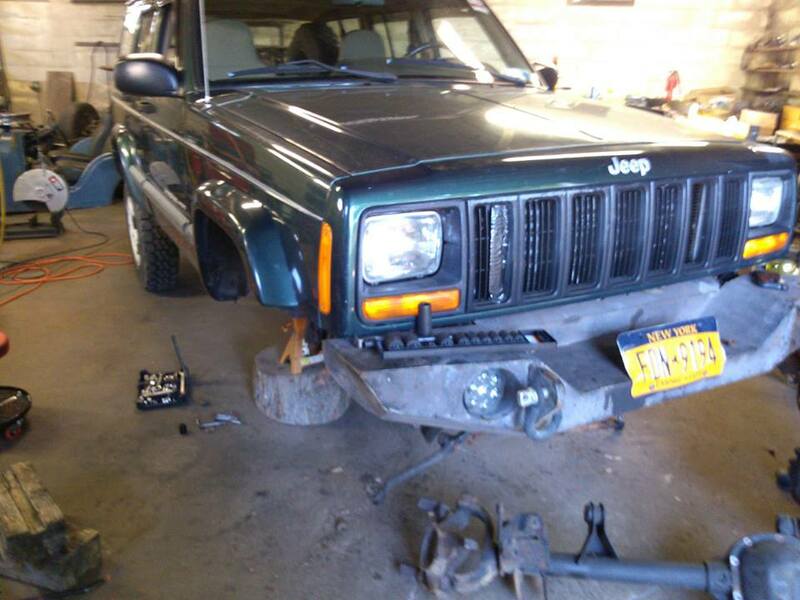 The Jeep is going to be going under the knife soon. Hopefully this week! - Extended control arms - have fixed lowers with a bend and adjustable uppers. 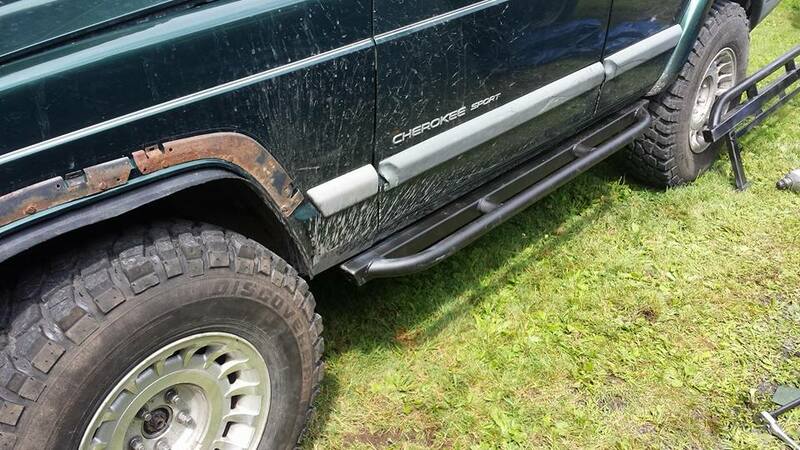 They are for 4.5'' of lift (I only have 3) so the axle will be moved a bit ahead. But they will allow for a lot of down travel! I also plan on , if I have time, patching the holes in the floor from having to cut out the shock bolts and patching the frame. I'll keep this updated as I modify the green PoS! Nice thread Mike. Get her ready for spring then we can help you stress test her to look for the weak bits! Yeah! Going to be fun year with it hopefully. Your place and Jay's will definitely be a good test for it. 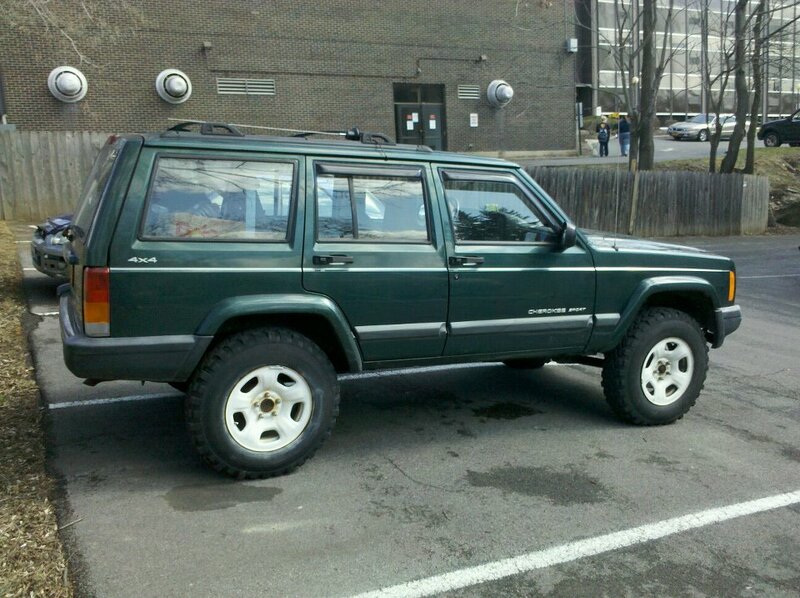 Got the work done on the other Cherokee last night so now mine is ready to roll in. Don't even know if it runs since it has been sitting for so long ... and i has 3 flat tires. I'd like to at least get the bolts loosened up tonight. Not sure if I will get the axle pulled tonight or not. Im finding the addiction to this is expensive. 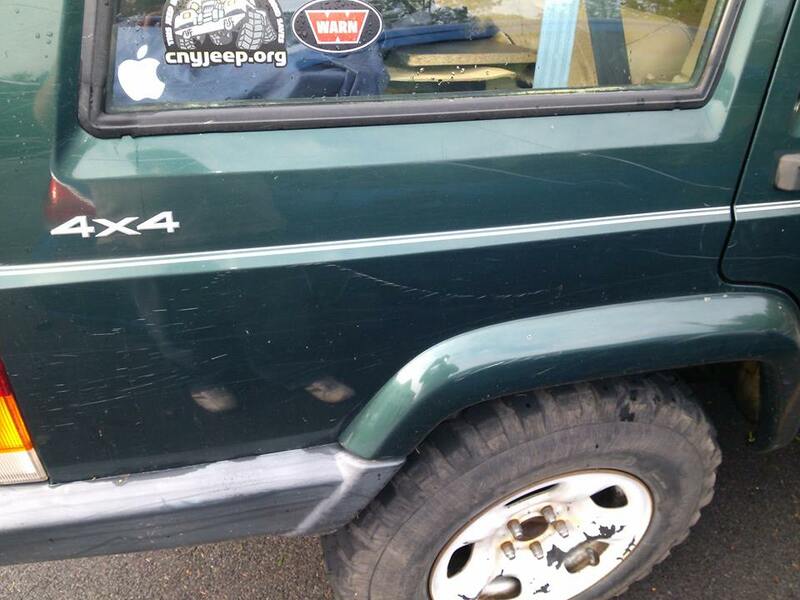 The cheap jeep is well over 1000 into it now. 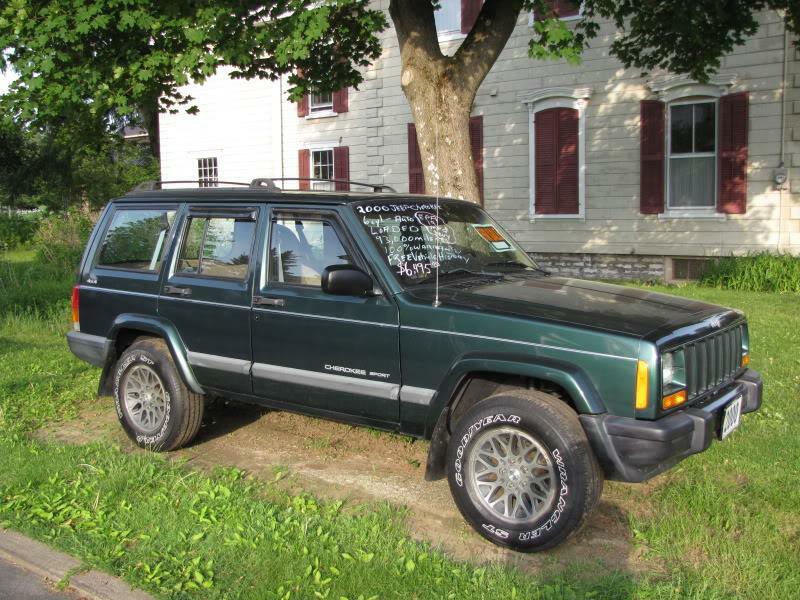 Very tempted to swap the driveline into the Cheaper Jeep or somehow get my extra 350 in it. Is the rear a 8.25 or 35? Mine or Andy's? Both of mine are 8.25. I bought the extra when I thought it was the rear axle causing the driveline vibrations (after doing SYE). Never used it because it wasn't the problem the entire time. Started a bit last night. Got the axle end control arms bolts lose, axle nuts lose, shocks disconnected, swaybar disconnected. 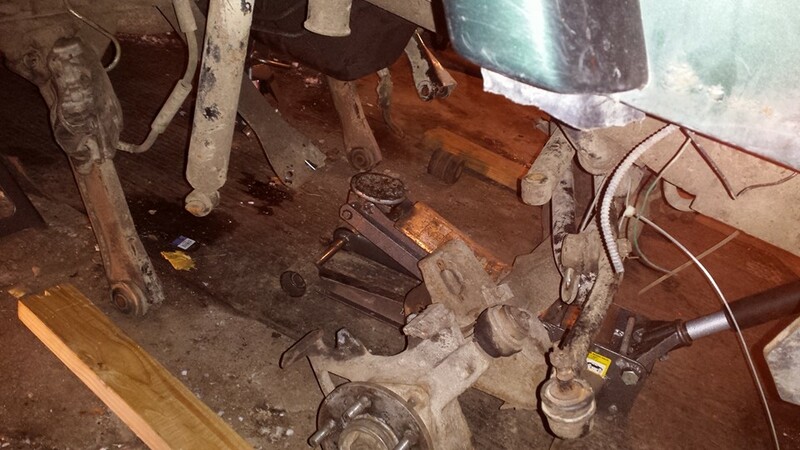 Tonight , popping the brakes and steering off and hopefully getting the axle out. 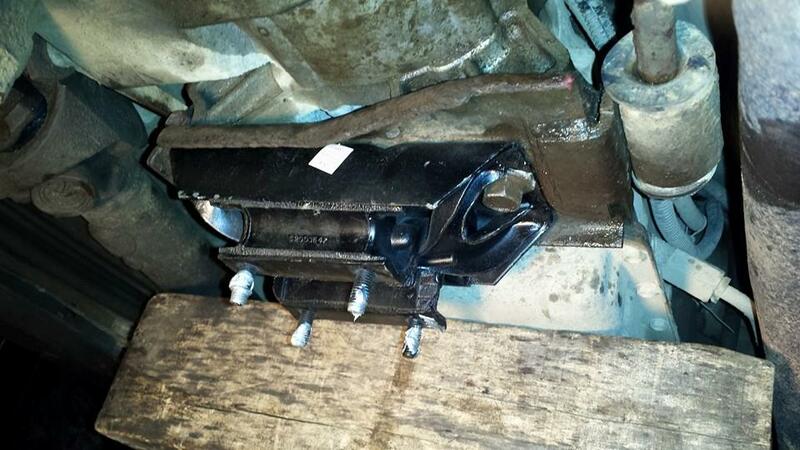 On a side note - is it possible to remove the right side frame end upper control arm without taking the starter out? Okay, that's what I was thinking but I couldn't remember. 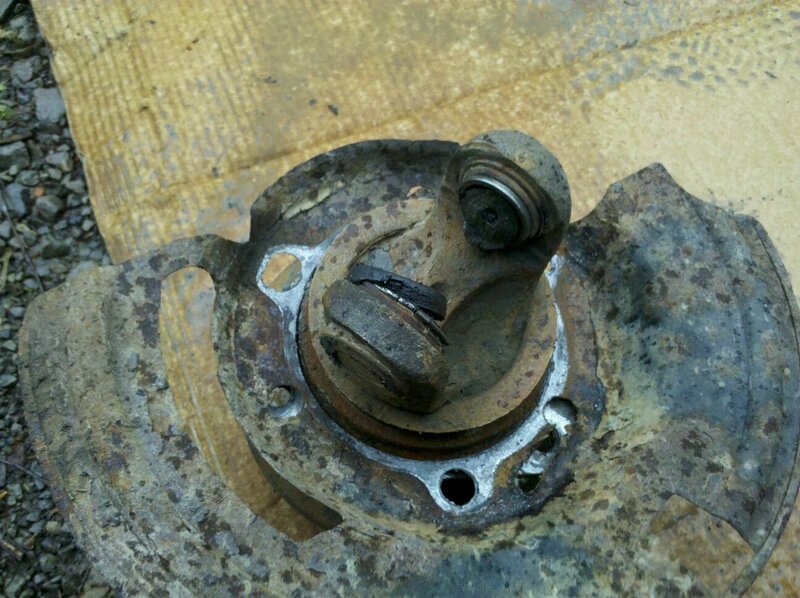 Saw the bolt or remove the starter. Starters aren't hard on these ... but it's super greasy. 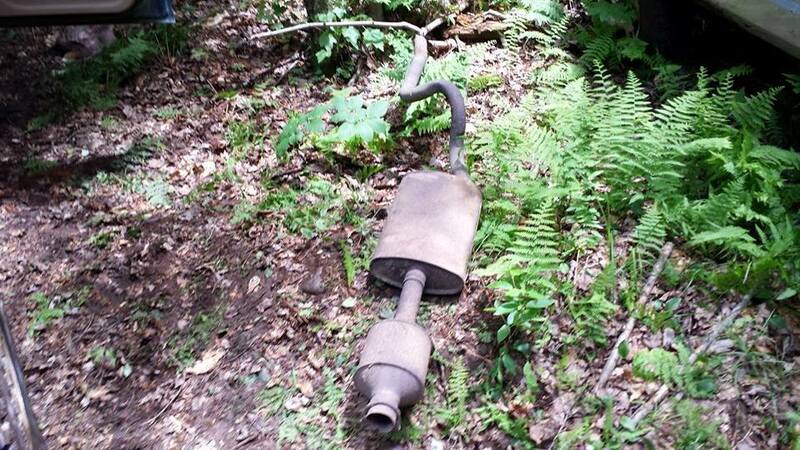 And the Jeep really needs an oil pan gasket. 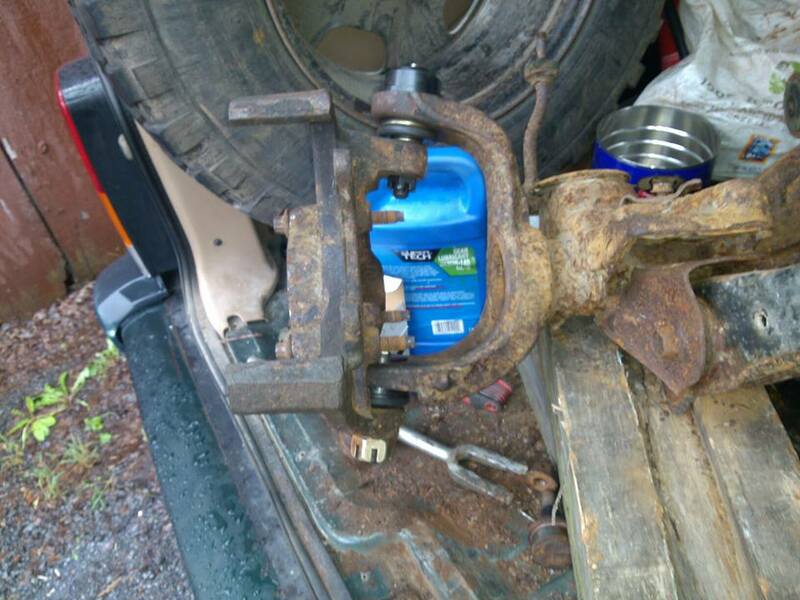 Have to remove the axle (or make it droop a ton) to replace the oil pan gasket. I'm not going to replace the oil pan gasket. My day will be ruined when I find the bits of aluminum in the pan. Got the axle out. It didn't need to come out , but since I had to take everything else off for the other stuff ... figured I would knock the steering off and do it inside. Installing the locker and seals will be easier with it on a table.